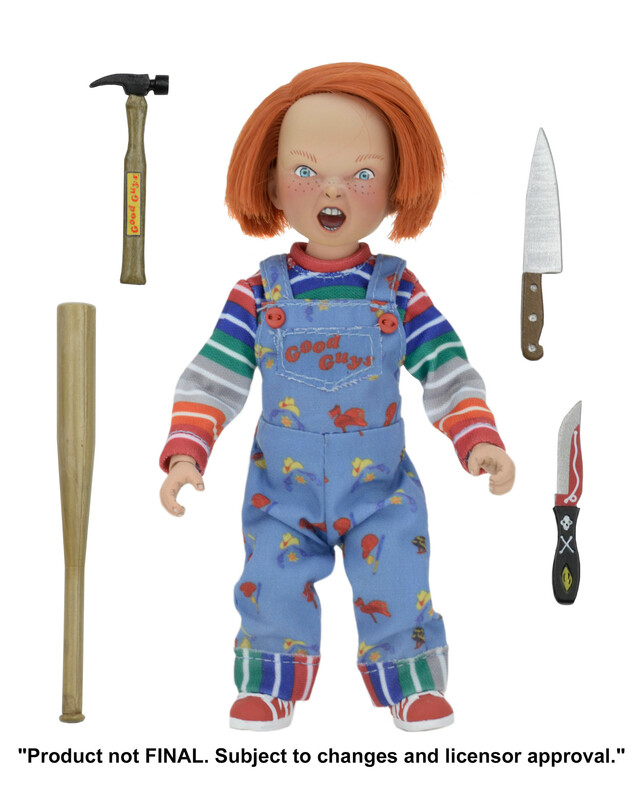 Check out a new look at the upcoming NECA Child’s Play – Chucky Mego Style Figure. 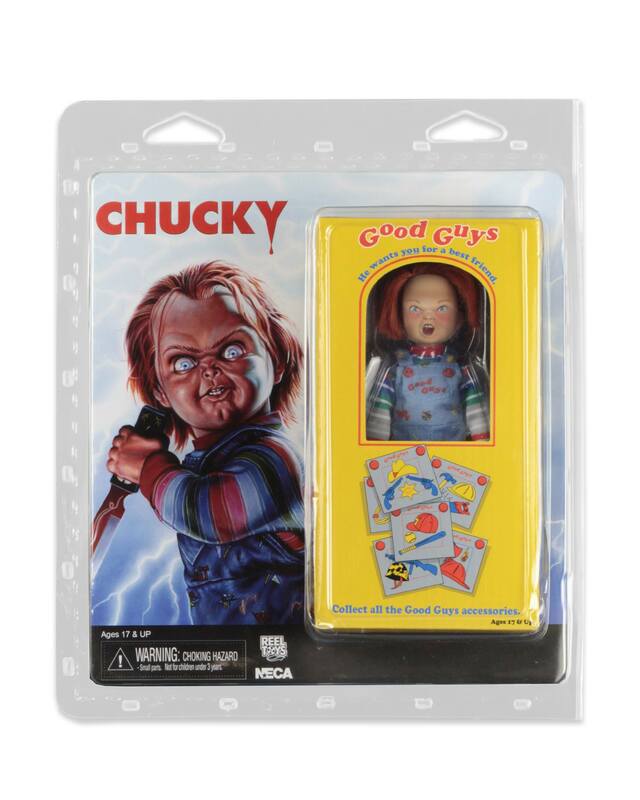 The new image gives us a preview of the card for the figure.The Chucky figure is currently scheduled for a June release. Click the banner image above for the full photo. 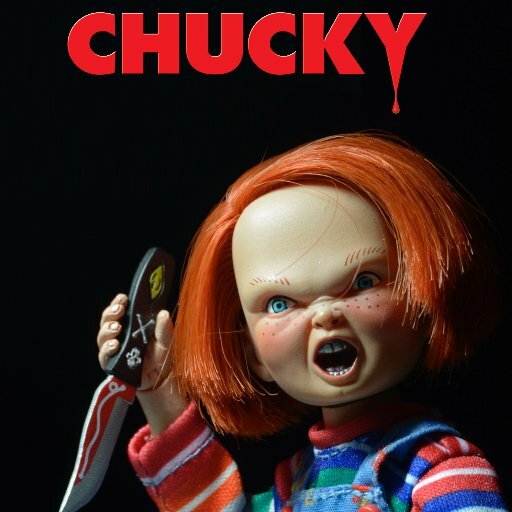 NECA welcomes Chucky to our long-running retro clothed action figure line! From the classic Child’s Play horror films, the murderous doll inhabited by the soul of a serial killer stands 5.5” tall and is fully poseable. 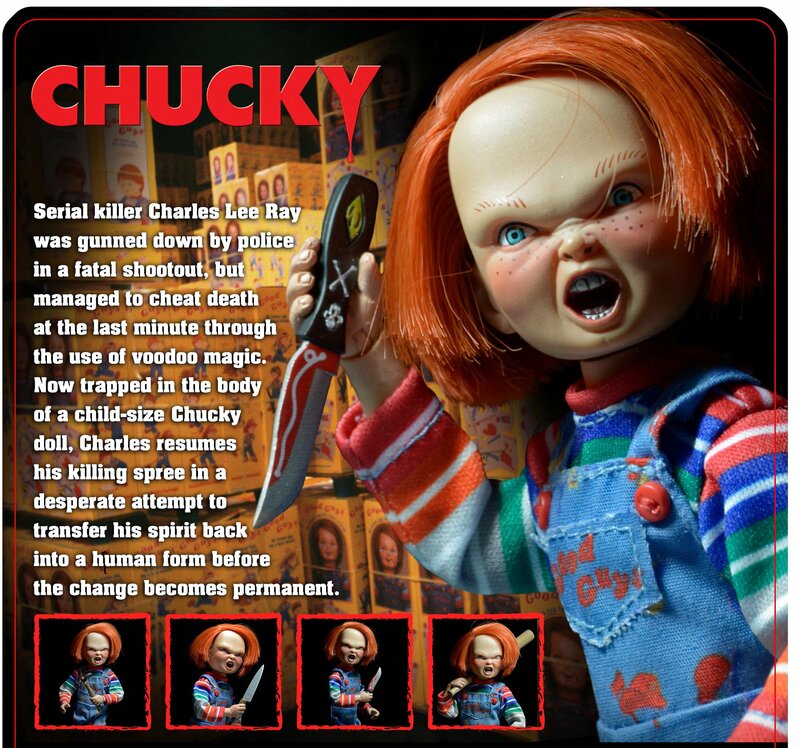 Chucky features rooted hair, and comes with baseball bat, voodoo knife, regular knife and Good Guys hammer accessories. Clamshell packaging. 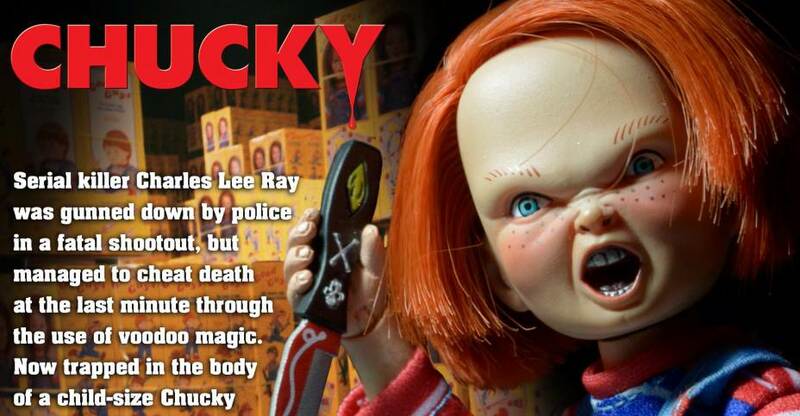 NECA Teasing New Child's Play Mego Style Chucky? Very cool! I opened my Scream Factory version, so this one will stay mint. Looks like NECA is using the standard retro blister card packaging for him. Kind of wondering if the card will be shrunken down a bit due to the size of the figure. It's begging for a second head sculpt. I think an extra head would've helped this figure a bit. Yeah, I always hate the way the snarling face looks on the toys and I hate that they keep using it, it's just ugly. It works fine enough in the movies, but a more neutral face would go a long way to making this release actually desirable. As is, it is just another in a long line of ugly Chucky toys. All times are GMT -4. The time now is 7:01 PM.